Do you want to learn new management techniques? There have been many advances lately in the field of management techniques, which you will find very interesting and beneficial. 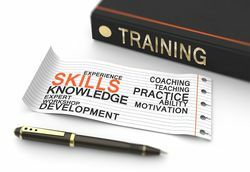 The purpose of learning new management techniques, is to reduce the amount of "trial and error learning" that many managers must struggle through, before they can achieve "excellence". Many managers don't reach excellence, because they never think to improve their management techniques. They simply trot-out their well-worn, habitual responses to situations. Their responses were evolved through painful experience, or they claim they learned them by studying at "the school of hard knocks". Learning techniques is about NOT taking "hard knocks" or learning by trial and error. Instead of trial and error, or painful-experience-learning, you learn proper techniques. You go straight to identifying the Ideal Response to certain situations, and then you intelligently apply them, in practice. Many people never study techniques. They erroneously think that management skills are innate. They wrongly think that people management skills cannot be taught. Management techniques CAN be taught; and they can be taught very quickly. Management techniques can be taught as a series of specific steps, which can be quickly mastered and perfected. Just like an artist needs to learn technique, and just as a musician needs to learn technique, so do managers need to learn technique, if they want to achieve excellence. Goal setting. Setting goals for yourself and for others. Clear, convincing and persuasive communication skills. Decision making. Yes or no? Handling difficult people; character clashes within the team. Handle difficult situations and poor performance issues. Developing emotional resilience and strength. (Mental toughness). Inspiring a positive mental attitude in the minds of others. (Leadership). There are a series of new management techniques that anyone can learn, which, if learned well and applied in an intelligent way, would instantly improve the results obtained. Techniques are not dependent on character. They work for everyone. Techniques are not dependent on age, or gender, or race, or creed. Techniques are the great leveller, they bring equality; because it is the "method of the action" that makes the big difference, NOT "the identity of the actor". Right behaviour is the most important thing, identity is NOT the most important thing. If anyone does the right things, in the right order, and avoids doing any WRONG things; then they will get the right results. That is the promise of learning techniques. They are independent of the person performing them. They are objective truth. Techniques have the potential to smash all the barriers that might stop people from progressing. Isn't that an exciting thought? Set goals for yourself and for others. Plan your time and delegate tasks. Handle difficult people and character clashes. Develop more emotional resilience and strength. (Mental toughness). Inspire a positive mental attitude in the minds of others. (Leadership). If you want to go ahead and learn useful and practical management techniques, or if you want your managers on a course where they can improve their management technique, then please take a look at our Leadership and Management training course. Every manager is unique, but the role of all managers is specific. Managers organise the daily workings of the team. Bad managers can negatively affect the team, therefore it is vital that all managers have training in good management practices.